How true is the Word of God? 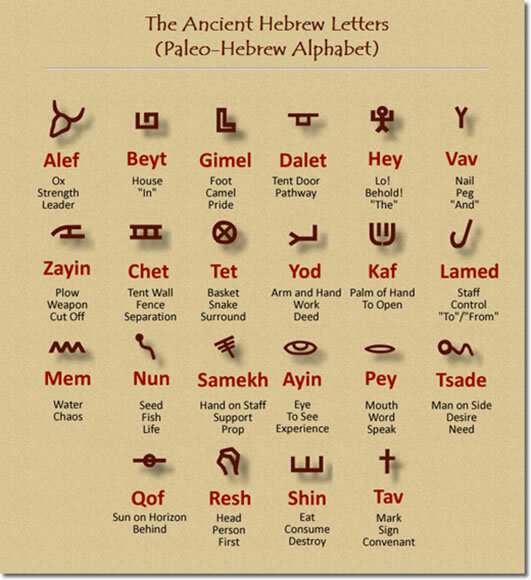 And, how prophetic are the letters of the Hebrew Alphabet? We will try to examine this amazing language of God and see just how God’s plan for us is hidden in letters yet available in His Word (Bible) for us to know. Hebrew is the language of the Jewish people… just as any language is to its people. It is the one tongue that, throughout history, all of the various groups of Jews scattered throughout the "four corners" of the world had in common with each other. 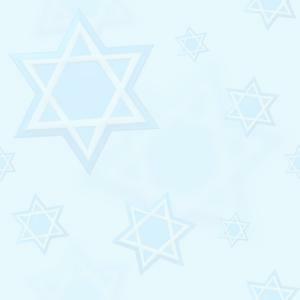 It has even been suggested that… Hebrew was the GLUE that kept the Jewish people Jewish. Knowing Hebrew can be IMPORTANT to understanding the TRUTHS that the Hebrew Bible contains, which book is the CONSTITUTION and SOURCEBOOK of the Israelite peoples. These truths do not come across in any other language or medium. Knowing Hebrew thought processes also helps one to have an understanding of any of the deep seated psychological hang-ups inherent in a culture and language based upon its Hebrew roots. Therefore the Bible becomes alive with each letter and word. Biblical Hebrew… is the Hebrew of the books found in the Hebrew Tanakh and what the Christian world erroneously call "The Old Testament." Hebrew represents a living language that did not remain stagnant during the wide time-frame represented within the Hebrew texts. The original Hebrew of the 15th and 14th centuries BC was written in a script created by the Hebrew scribes shortly after the Hebrew people left the Egyptian exile with the Prophet Moses. This script was the way Hebrew was written until the Hebrew people were taken into the Babylonian exile in the 6th century BC. Some of the Dead Sea Scrolls were written in this script, and in a couple of scrolls the Tetra gram; (the Sacred Name of God) YHVH is written while the rest of the scroll is written in the Aramaic script that was used after the Babylonian exile. Unlike the English letters A - B - C - D, etc., whose "names" Ayee, Bee, Cee, Dee, as so on… mean nothing, except in combination with other English consonants and vowel letters. Hebrew consonants have an inner meaning that is represented in any word root that the letter helps to make up; i.e. adding an "'Ayin"as a prefix to a root verb creates a noun that also describes an animal's characteristic most apparent to the name giver. An example is… "khavar" (to hide) "an ayin" as a prefix, ("ayin" represents a scurrying motion), and you now have the Hebrew word "Akhbar," (mouse). For instance… the Hebrew word "SHALOM" has little in common with its English translation of "PEACE." SHALOM does not have the passive, even negative connotation of the word "peace." Shalom does not mean merely the absence of strife... It is pregnant with positive, active and energetic meaning and association. Shalom... connotes "totality," "health," "wholesomeness," "harmony," "balance," "success," "the completeness and richness of living." When Jewish people meet or part and say their goodbye, they wish each other "Shalom!"... or they inquire about each other's "SHALOM!" Similarly, the Hebrew word RUACH (spirit) and NEFESH do not have the implications of a disembodiment, such as are indicated by the English translation. There is no contradiction in the Hebrew mind between… body and spirit or soul… One is not the reverse of the other. 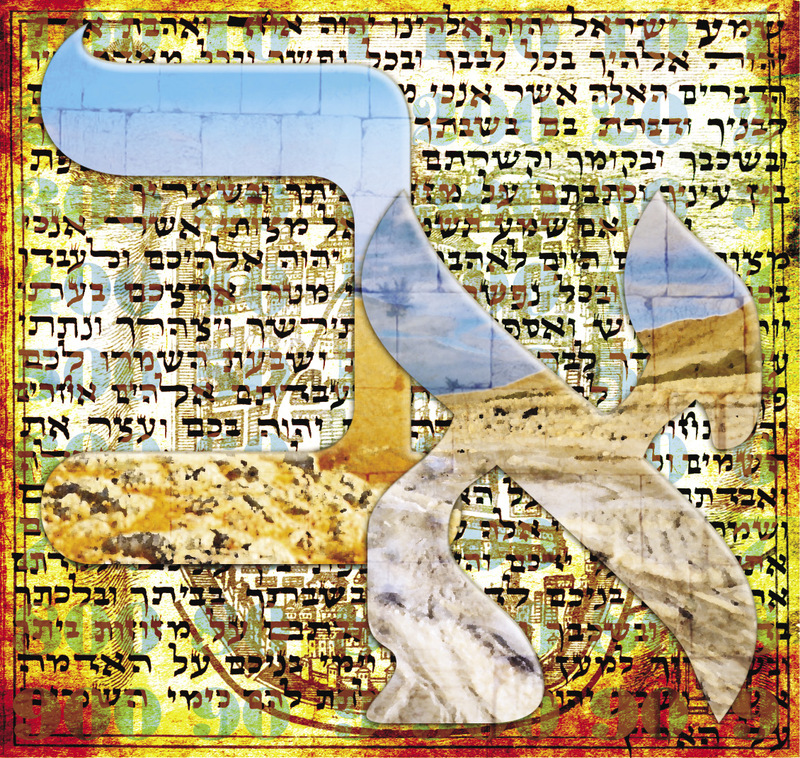 These Hebrew words have dynamic, life-giving and motor-urgent meanings. Every living being has a spirit, "ruach" even the beast possesses a spirit, (Ecclesiastes 3: 21). The same is true of the synonym "nefesh," which is generally rendered in English by the word "SOUL." But, nefesh, too, is the property of all living beings (Job 12: 10), including beasts (Proverbs 12: 10). Even the neither-world is portrayed as having a soul - nefesh (Isaiah 5: 14). Furthermore, every living creature, man as well as animal, is designated as nefesh (soul) (Genesis 1: 20, 21, 24, 12: 5, 14: 21, etc). Also, both (soul) nefesh and (spirit) ruach often signify strength and vigour, both in a material and in a spiritual sense. Ravenous dogs are said to possess a strong soul, "nefesh" (Isaiah 56:11); and the horses of Egypt, the prophet warns, are weak; they are "flesh and have no soul ruach." There is likewise a far cry between the Hebrew word TZEDAKAH (righteousness which is connected with "GIVING" - Tzedakah… from the root Tzedak, "to be just or righteous," with its implications of social justice… and its’ English translation of "charity." In the case of "charity" the recipient sees himself beholden to the donor, whose action is voluntary. In the lives of Jewish people "Tzedakah" (righteousness), on the other hand, has to be performed as a matter of obligation and the recipient is in no way indebted to the donor. The needy have a right to receiving "ALMS" Tzedakah, while those possessing means have a duty to give it. Indeed, even a poor person who receives money as Tzedakah must in turn give money as (Babylonian Talmud, Gittin 7b). Thus everyone has to give! (William Chomsky, HEBREW: The Eternal Language). In the Hebrew Alphabet every letter has a numerical value and imparts to each letter – its own power and meaning. Thus the first letter is "aleph (alef) is a letter that is not pronounced. It is a silent letter permitting its associated vowels to exist… It is now for nothing that it represents the number "1" symbol of the "One God" who permits all things to exist. This is also why Genesis, the first Book in the Bible… begins with the second letter of the alphabet; "Bet" with the word "Bereshit (Beresheet)" which means "in the beginning" God created the heavens and the earth. Just as the letter "aleph" precedes all others… so God precedes all creation! The Bible could therefore only begin with the second letter "Bet." Every letter dotted with its own particular energy makes up the word combination of each letter. God has given all of us the key to the Wisdom of the Hebrew Alphabet in Alphabetic Verses... Hebrew is a building-block language. Each letter carries its own innate symbolic meaning into the words it forms when it combines with other letters. This is seen most clearly in the grammatical functions of certain letters that are used as prefixes and suffixes. It is all very simple and straightforward, and the best part is that God has illustrated it for us in Scripture. Again, citations from the Alphabetic Verses will always be marked with the reminder "AV" "Father." The Alef; the first letter of the alphabet… is formed by two Yuds (Yod); one to the upper right and the other to the lower left, joined by a diagonal Vav. These represent the higher and lower waters and the firmament between them. Water is first mentioned in the Genesis 1; in the account of the first day of Creation: "And the spirit of God hovered over the surface of the water." At this time the higher and the lower waters were indistinguishable; their state is referred to as "water in water." On the second day of Creation God separated the two waters by "stretching" the firmament between them. 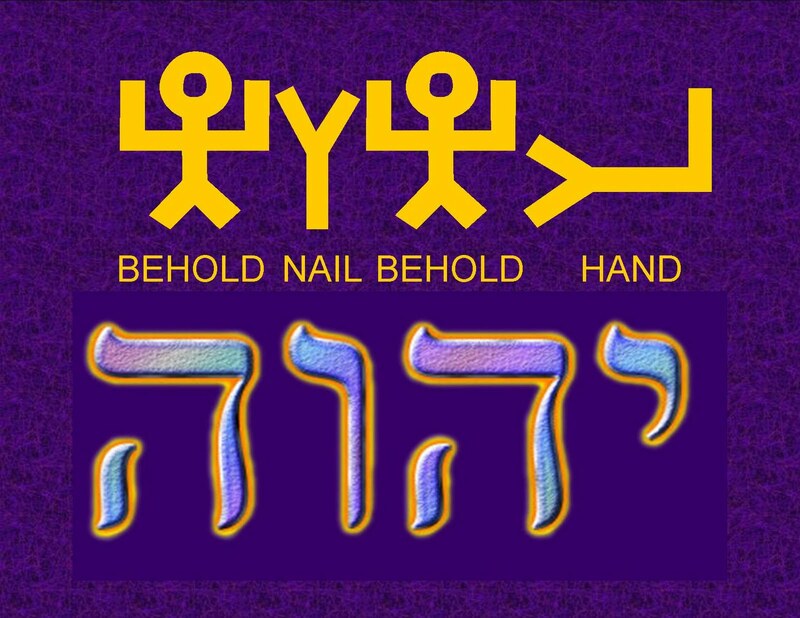 Also a "Yud" above and a "Yud" below with a "Vav" separating and uniting them simultaneously… represent the secret of the image in which man was created. Therefore; In the Beginning (before the beginning of time)... The first word in the Bible is thus the second Hebrew word; "Beresheet or Barasheet" most frequently translated, "In the beginning…" The Hebrew word "Barasheet" is comprised of the Hebrew letters BET (the equivalent of our letter "B") (pictured in the ancient Hebrew as a House or Tent, and meaning house, as in "the house of David". RESH (R) (pictured as a man’s head, meaning the first or highest person. ALEPH (A) (pictured as an ox head, meaning God and/or strength, as in "the Lord is my strength"). SHIN (Sh) (pictured as two teeth, meaning to consume or destroy). YOD (Y) (pictured as an arm from the fist to the elbow, meaning my hand/efforts). TAV (T) (pictured as two crossed sticks, meaning a mark or covenant). The second word of the Torah (Old Testament)… "BARA".. is related to the roots Le'lavlev (to blossom), Livroach (to flee) and (to loosen) Lerofef, all of which have the underlying meaning of "emerging" or "freeing from constraints". "Bara" therefore means... "to bring something forth from a vacuous state" or "to create from nothingness." Thus, "In the beginning…" God reveals that the SON (Hebrew letters BET and RESH form the Hebrew / Aramaic word "bar", or Son) of GOD will be DESTROYED with his HANDS on a CROSS. 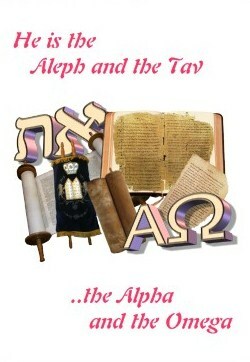 The position of each Hebrew letter in the alphabetic sequence reveals a lot about its meaning…This is very obvious with the first and last letters, "Aleph" and "Tav"… since they correspond to the Greek; "Alpha" and "Omega" which God used to identify Himself in Revelation 1:8 and elsewhere. The relation between position and meaning is easily discerned for… the first ten letters since they are linked with fundamental Biblical sequences like the Ten Commandments, the Seven Days of Creation, and the Seven Seals of Revelation. Psalm 119 gives the grandest revelation of the Alphabet, with its 176 verses divided into 22 stanzas yielding "eight key words" for each letter (176 = 8 x 22). This Psalm perfectly represents the whole Alphabet; there are no variations from the standard order and no missing letters. It is particularly significant that the sole topic of this greatest of all Alphabetic Psalms… is none other than the proclamation… of the glory of the Word of God from Aleph to Tav (Alpha to Omega)! The Hebrew letter "Lamed" leads directly to another important key word; lamad (to teach), which also is the root of Talmud and Jewish learning of God’s Word and Law. The name of the tenth letter "(Yud) Yod" denotes a hand, the symbol of personal action, power, and control. The symbolic meaning of Yod is the key to the reason and understanding for the Number 10 in the Ten Commandments which are the guide to all our actions. The "Yod" is one of the seven letters that had its name established by God in the Alphabetic Verses; Here is one example… Psalm 119:73; "Thy hands (yadeyka) have made me and fashioned me: give me understanding, that I may learn thy commandments." The meaning of the letter "Kaph" as the sign of similarity is the basis of the name of the prophet Micah which means; "Mi" (Who is) "K" (like) "Yah" (the Lord)?" The same question is asked in Micah 7:18 so we have a threefold convergence of the meaning of Micah's name! The letters "Yod" and "Kaph" denote different aspects of the hand. "Yod"… is the Active Hand by which we manipulate, control, manage, and grasp things. It is a symbol of personal power and possession. Kaph… is the Open Hand by which we give and receive things! Ruth 1:16 beautifully explains their roles in Hebrew grammar. The actual Hebrew underlying the highlighted words reads simply "ammek ammi" which literally means "thy people, my people!" When used as a suffix, Yod means MY and Kaph means THY. 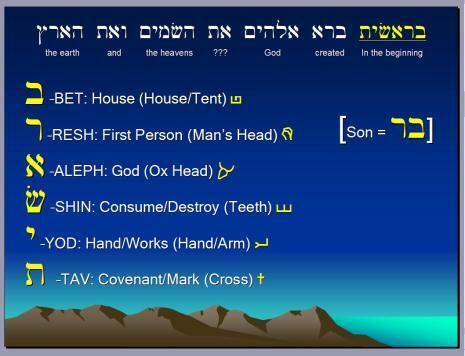 Now it is easy to analyze the first Hebrew word, as the first letter, Aleph represents the idea of a Leader or Ruler… It combines with the second letter Bet (House) to form Av (Father) which is therefore a compound symbol signifying the Leader (Aleph) of the House (Bet). Yet this is only the beginning of wonders! It is based upon both relate directly to the nature of the First Person of the Trinity, God the Father! Moreover, the analysis of this Bet Key Word for Son followed exactly the same pattern as that of the Aleph Key Word Av (Father) above. Truly, there is no end to the glory of what God has done in His Word! For example… the Hebrew word for circumcision "Brit" has the numerical value of 612 while the "Torah" (Old Testament) contains 613 commandments. This indicates to Jews that the commandment of "circumcision" precedes the other 613 commandments of God. Therefore the importance of a child circumcised on the 8th day still stands over thousands of years. Another example is that of "Av" meaning "Father" has the numerical value of "3" while the word for "Mother" "Em" has the numerical value of 41 so by adding 3 + 41 = 44 which represents the numerical value of "Yeled" meaning "Child!" Therefore family God has planned exists as Father + Mother + Child. The Biblical verse "love thy neighbour" (Leviticus 19:18; Mathew 22:13; Mark 12:31; Luke 10:27) has a numerical value of 907 which is exactly the numerical value of "thou shat love the (Lord) Eternal thy God." Deuteronomy 30:16, 20; Mark 12:30. This parallel reinforces that we should love our neighbour as with our Creator. One can also highlight the difference between the numerical value of Adam in the Hebrew is 45 and Eve 19. The difference between the two is 26 which represent the numerical value of one of the ten names of God… But not just any name… it is the name that Jews NEVER pronounces Y-H-V-H, for it is the name that symbolizes the Creator’s most "Merciful" dimension, the attribute of compassion, kindness, generosity… all the qualities which a married couple require to form a perfect union and without these God qualities and a relationship with God a great divide will exist and the 26 will be absent. Numbers according to the "Gospels"… In the Gospels, the multiplication of the loaves of bread by Yeshua (Jesus) is in the presence of the people of Israel and mentions 12 baskets (Matthew 14:20). The second account (Matthew 15:37) is said to be in the presence of pagans as it denotes 7 baskets. The 12 baskets represent the 12 Tribes of Israel (since the miracle was in the presence of Jews) whilst the 7 baskets probably present the 7 pagan nations of this period, since Christ was in the presence of pagans. The number 7 also represents the number of days in which the worlds was created, thus giving a universal meaning to Christ’s message…He was feeding all humanity (Jew and Gentile). In the book of Revelations 14:1, 3 at the end of days, 144,000 Jewish people will be saved. Why this number? It was calculated: 12 X 12 X 1000. Some scholars have connected it to be the first twelve represents the Old Testament (from 12 Tribes of Israel), the next twelve represents the New Testament (Disciples) and finally the 1,000 represents the multitude… making it a total of 144,000. "…After this Yeshua appointed seventy other disciples" Luke 10:1.This designation by Yeshua (Jesus) is also interesting. In terms of Israel, Yeshua speaks of 12 apostles representing the 12 tribes of Israel. But, what about the other 70 disciples whom He sends out? The Bible also speaks of 70 men who went down with Jacob into Egypt and would form the people of Israel? 70 also represents the number of nations that emerged after the flood. But, even if their mission was similar, their public was different… the 70 disciples were sent out to pagan nations. The number 40 in Judeo-Christianity history…. Throughout the Bible, the number 40 features in important stages of the Old and New Testaments. To begin with, the flood in the time of Noah lasted 40 days. It rained for 40 days and nights. Moses received the Ten Commandments after spending 40 days on Mount Sinai. Israel wandered in the desert for 40 years. The Prophet Elijah withdrew for 40 days. The reign of King David lasted for 40 years and so also did his son, King Solomon reign for 40 years. Jonah spoke for 40 years to the people of Nineveh. Yeshua withdrew into the desert for 40 days and fasted for 40 days. And, after His Crucifixion, Yeshua returned to the earth for 40 days. 40 years also represents the number of years of a generation and transition from one to another!